In its third year, Wirksworth Book Festival is a four-day celebration of all things literary featuring talent from authors, poets and playwrights both local and from further afield. 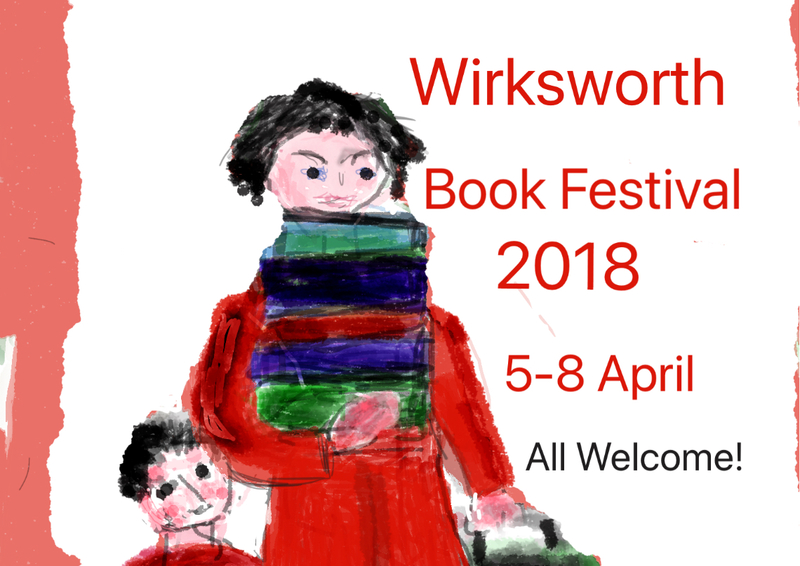 Preparations are in their final phase for the 2018 Wirksworth Book Festival – Wirksworth Festival’s sister event – which this year takes places 5 – 8 April at venues across the town. Now in its third year, the programme features a great line up with a selection of free and ticketed events for literary lovers of all ages. Read on for details. You can also find out more details via Facebook. Please note: For FREE events no booking is required but do arrive at the venue in plenty of time to get a place. For ticketed events, tickets can be bought at the Book Festival Box Office at Wirksworth Framing Company. Explore the home of the early 20th century literary figures Edit, Osbert and Sacheverell Sitwell. The film of the much-loved Roald Dahl story about a little girl who happens to be a genius. Middleton-by-Wirksworth resident and poet Rob Stamper launches his collection of 36 original poems, monologues and general ramblings. Event includes music and entertainment. Find out how the Derbyshire-born war artist Laura Knight’s paintings and memoirs, and real wartime locations, provided inspiration for Clare’s new wartime drama The Night Raid. With Q&A and chance to buy a signed copy of Clare’s book. An event for young writers with Emma Pass who will teach the secret to creating your own future worlds. Local authors Sarah Ward and Roz Watkins discuss their writing of crime fiction. Sarah Ward is a multi-award winning author of three D.C. Childs novels; Roz Watkins’ very recently-published first novel is set in Wirksworth and already optioned for TV. Tickets £3 an includes nibbles and bubbles. Geoff Cope talks about his biography Sunshine and Shadow, recounting his time playing for Yorkshire and England, how he helped save his county club from bankruptcy, and his fundraising in recent years for Guide Dogs for Blind. For one day, Wirksworth becomes the Hay-on-Wye of Derbyshire. Indoor books fair plus book stalls around town. Local author and reader Andy Miller leads a two-hour gentle walk around the lovely countryside on the edges of Wirksworth. Come ready to chat to fellow walkers about a book you have loved or read recently. The chance to try out the art of folding old books into creative and sculptural shapes with local artist Pat Shenstone. Radio writer Tony Jones won the Writers Guild Award for Best Radio Drama with his play Quill and For the Time Being was broadcast in August 2017. With readings from St John’s Theatre Company, he reflects on the wayward process of writing these plays and considers how the final stories unexpectedly emerged.